Light is classified differently within the visual spectrum. Light with longer wavelengths and less energy is on one end (Red), light with shorter wavelengths and more energy(Blue) is on the other. 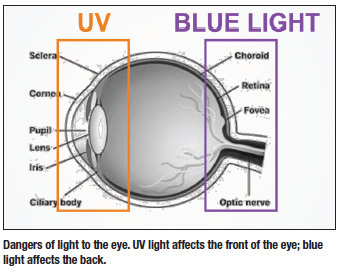 Blue light or violet light as it is sometimes called is emitted by the sun. However, it is also emitted by tablets, phones, computers and other digital electronics. 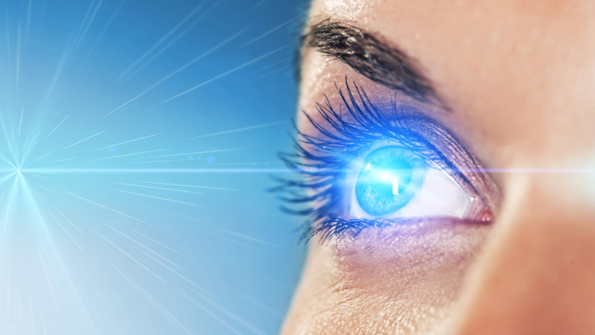 How can extensive exposure to Blue light effect your eyes? While the sun will always remain the biggest contributor to blue light exposure to our eyes, in this digital age, people are becoming more dependent on devices that emit blue light. Let's take a look at some of the major effects it can have on your eyes. 1) Blue light can directly affect your sleep patterns and cause insomnia because it tells your brain that it isn't time to sleep. Essentially, when your eye processes the blue light, a signal is sent to the part of your brain that deals with melatonin production and tells it to stop producing. Melatonin is the chemical in your brain that is responsible for making your body go to sleep. Sleeping disorders developed from excessive blue light exposure can lead to a whole list of more severe problems including anxiety, depression, and even heart attacks. 2) Some scientists that have done extensive research on blue light believe that it can actually cause AMD (Age-related Macular Degeneration) and/or Cataracts. They say that exposure to ultraviolet light, which is emitted by the sun and is invisible, is the most dangerous. This is why people who live close to the equator generally develop cataracts earlier in life. Blue light, while not as strong, is closest on the light spectrum to ultraviolet, and therefore dangerous in large amounts. 3) Smartphones, tablets, and computer screens are not the only blue light emitters that can damage your eyes. Electric lights in your house can actually be the most damaging. Obviously, people do not just stare at the lights they have turned on in their house! But, you know that residual image that is burned into your retina after you do look at one? That same sort of effect does not happen when you use digital devices. So the risks of certain types of LED lights are higher. 4) Children are particularly susceptible to having their eyes damaged in the long run by exposing themselves to too much blue light while they are young. There are special pigments in the retina that protect against blue light exposure that is not developed yet in adolescents. Are there ways to prevent these effects? There are some technologies that have been developed recently that do combat the effects of excessive blue light exposure to your eyes. 1) Blutech protection glasses are the most expensive, but most effective way to protect yourself from blue light exposure. Crizal Prevencia is one brand of eyeglasses that reduces the amount of blue light that your eye is forced to process throughout the day by filtering it through the lenses. Also, there are filter screens now that you can place on your smartphone or tablet to reduce the amount of blue light it emits such as PYEPYD. 2) There are now apps available for Android and iOS that help with blue light. They change the blue light to a red light that is easier on your eyes. If you're eyes often get sore from staring at your phone for too long, these apps are a must. 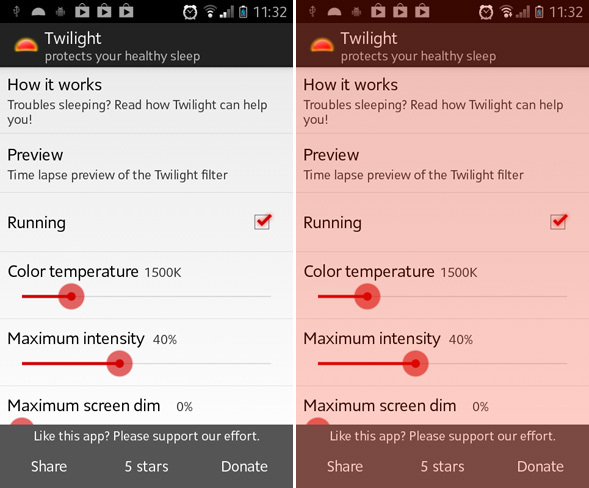 For the iOS, the app is called F.lux, and for the Android, the app is called Twilight. Want to know more information on "blue light"? Comment below on your thoughts on blue light and how you think it affects you when you work.